The Hon. Commissioner, Plateau State Ministry for Local Governments and Chieftaincy Affairs, Alhaji Dayyabu Yusuf Garga says Governor Simon Lalong is sure of "another resounding victory" at the rerun elections holding Saturday. 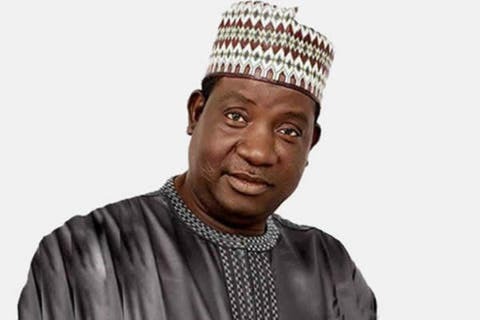 Speaking to newsmen after interacting with several groups working for the reelection of Governor Simon Lalong across the state, Garga hinged his confidence on the level of mobilization ahead of the polls. The groups he said have been working towards the reelection of President Muhammad Buhari, Governor Simon Lalong as well as other candidates of the APC across the entire state. The Commissioner commended the groups over which he is Patron for their efforts, charging them to ensure Governor Lalong is reelected so as to continue with the laudable developmental strides he has started. According to Garga, Governor Lalong is so passionate about the unity and growth of Plateau state as such he has ensured an even distribution of the state's resources without any bias. He added that the return of Governor Lalong to little Rayfield will afford him the opportunity for consolidation and that is what plateau people have seen hence they gave him their votes and are ready to complete by Saturday. Garga then called on plateau citizens to come out and vote peacefully in areas where election rerun will take place pointing out that for them they are certain that the people's verdict will go with Governor Lalong.